GlassFish v3 will simply not run on JDK 8 in the standard configuration but I found a little tweak to accomplish this. Connection could not be allocated because: Communications link failure The last packet sent successfully to the server was 0 milliseconds ago. The driver has not received any packets from the server. Please check the server.log for more details. I stumbled about this Exception and wanted to let you know how I solved it for me. In my case that Exception comes from a GlassFish v4 instance interacting with a MySQL v5.5.37 database over JDBC v5.1.26. GlassFish wants to tell us that he can't receive any packages from the database but doesn't tell us exactly what's the reason. I figured out that the default value for the JDBC idle timeout are 300 secs but for MySQL the default value are (in my case) 180 secs. In this scenario MySQL is the server and GlassFish the client. The client connects to the server and keeps a connection. After 180 secs the server may kills the connection due to inactivity. The client does not get any information about this and keeps the connection for further 120 secs. If you call for data within these 120 secs you probably run into that exception because the connection is already closed and the client (GlassFish) complains with that exception. So the solution is to lower the idle timeout in GlassFish to a value lower than 180 secs or raise the wait_timeout value in MySQL to a value bigger than 300 secs. - Change the value and save the document (May you have to restart MySQL too). I'm proud to announce my first NetBeans IDE Plugin called TabSwitch! If you create an app that will connect to other secured services, the day will come you have to add some developer keys or passwords. Or you want to simply define different environments (production, development, test) for your app running into e.g. for testing purposes. Changing that properties every time or pushing that properties to the repository would be a flaw. Seriously, you should never push passwords etc. to your repository, no matter if it's private or not! So what to do to prevent this? Passing that properties with Maven is one solution. Let's start! Now the whole maven-part is done but we need some files to test our configuration. That's it! Now you can pass properties into your Java Apps with Maven. 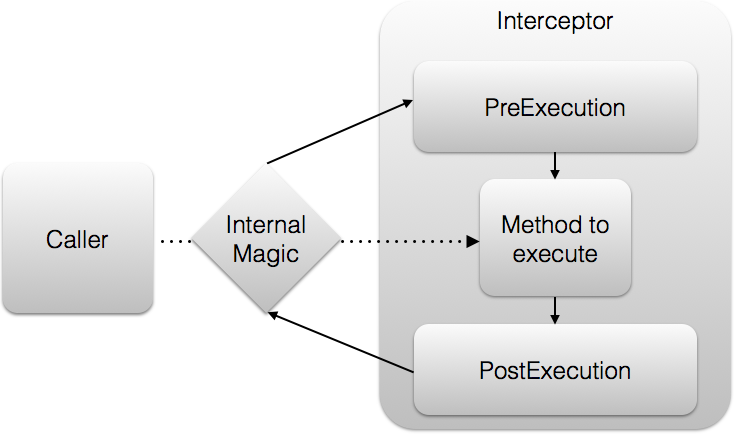 Now you can simply invoke this Interceptor by annotating a class or method in e.g. an Stateless EJB. So far so good but what happens if we want to annotate our method multiple times like this? We have to create a grouping Annotation (Note the S in OurAnnotationS). Now we successfully implemented an Interceptor with our own Annotation which we can repeat like we want.